I haven't done a beauty post in a while so let's crack on. 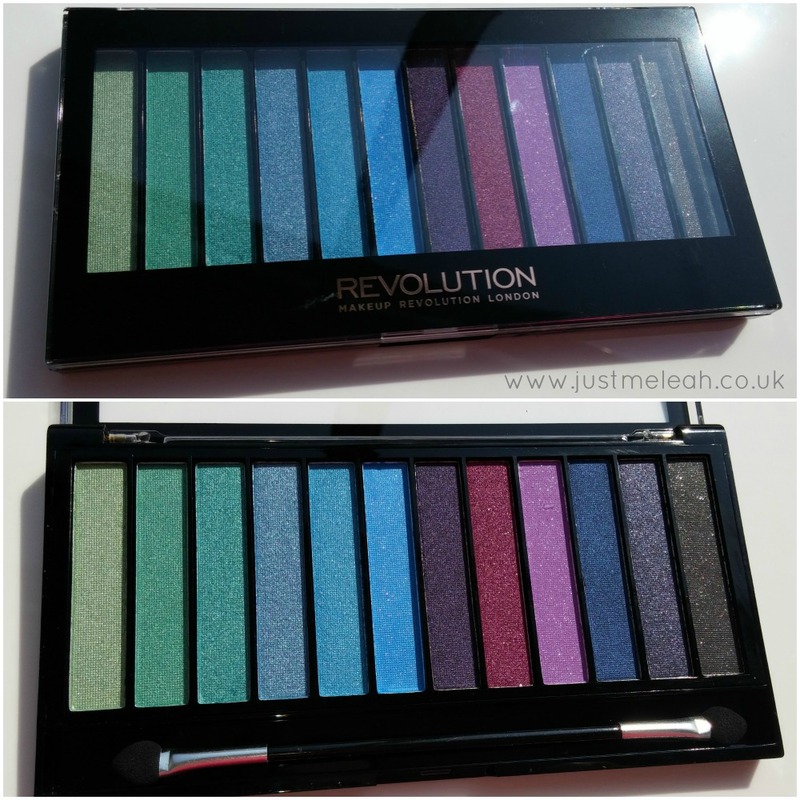 This is the Makeup Revolution Mermaids vs Unicorns palette, which is £4 for 14g and packed full of vibrant colours. 9 of the 12 colours are pigmented, with the first three being a bare wash of colour, and they're all sparkly. 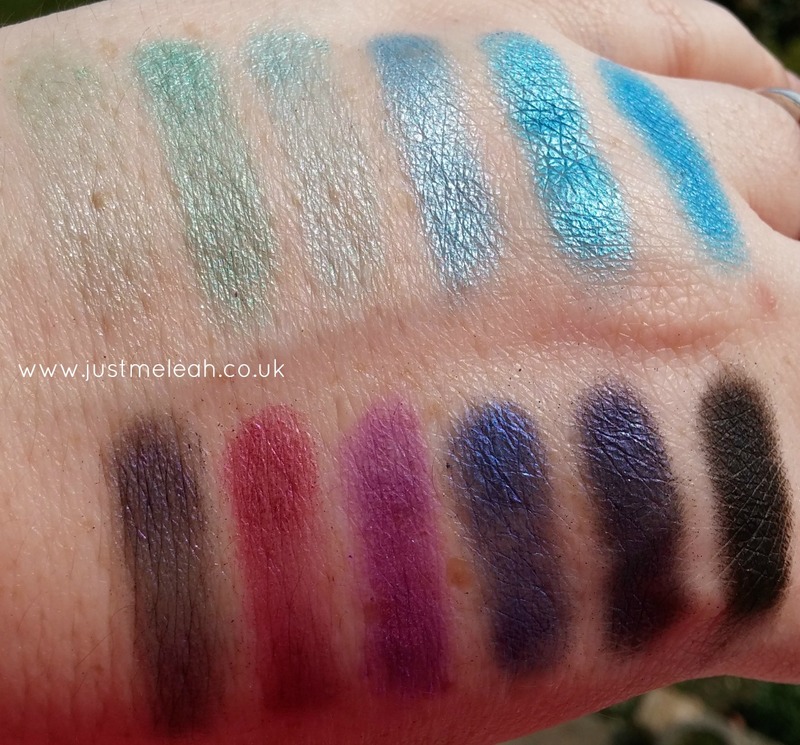 I'm never a great fan of palettes which have several blue shades as it's a colour which is very hard to look right on me, but the mixture of greens, blues, pinks and purples was too good to miss. The two right hand blues look pretty similar, but they're easily distinguished close up as the 6th shade has silver sparkle in it. The swatches were done dry on bare skin (no primer) and will be more vibrant used over a primer or applied wet. Here's a really quick face of the day I did so you can see a couple of the shades on. 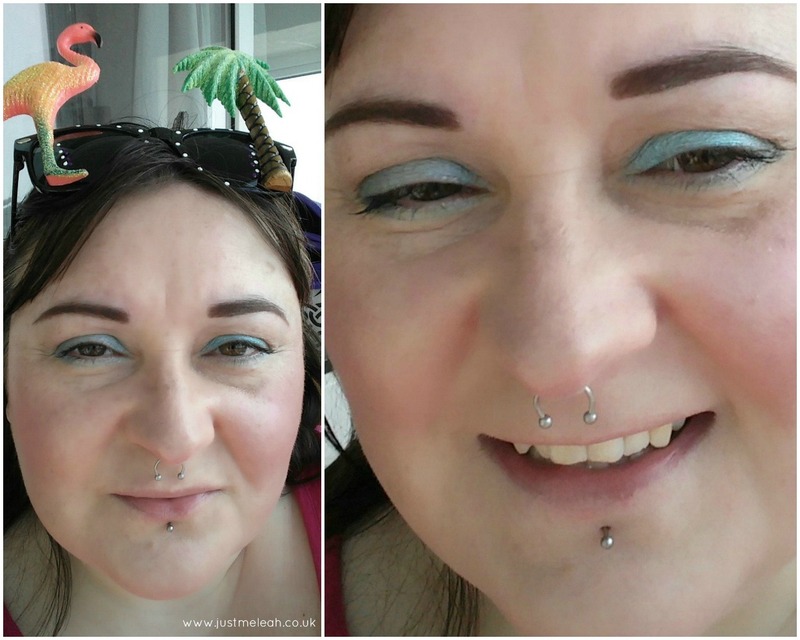 I'm wearing the 1st shade under my eyelashes (which is the barest wash of pale mint) and the 3rd shade on my top lid, which is a deeper, almost blue-ish green. 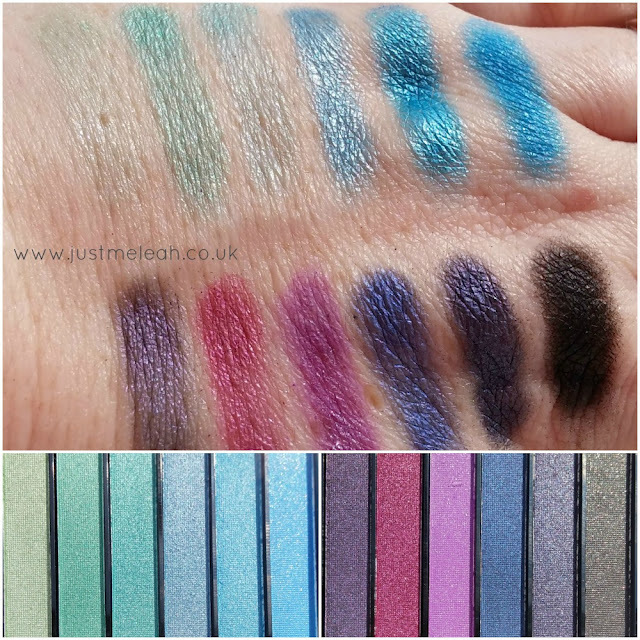 The colours are slightly buildable as you can see in the bigger photo below (one eye has one pass of shadow, the other two.) As ever there's a little bit of fallout with these shadows on application, but nothing terrible. They last all day on me with an eyeshadow primer. I'm wearing some fun sunglasses from our holiday. On one evening we had a little party for me and our other friend whose birthday was the day after mine. I love everything kitsch. You can buy Makeup Rev on their website, in selected Superdrug stores, and on Superdrug.com. 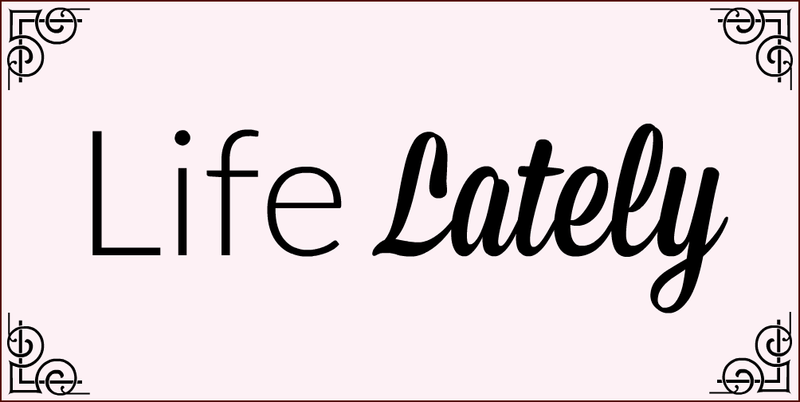 It's my preference to buy direct from them as Superdrug takes some time to get in new lines.